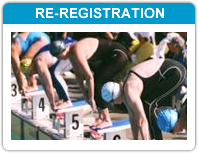 Welcome to the Masters Swimming WA online registration system. Becoming a registered member is fast and easy. 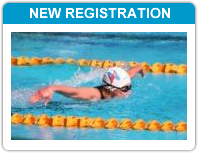 Simply click on 'New Registration', select the Masters Swimming Club you have selected to join; and then register. RE-REGISTRATION - If you were a member last season, click here and enter your username and password (if you have forgotten them, you can click on the 'Username & Password' button on the left, to retrieve them - you will need to enter your email address). Once you have logged in, click on the 'Registration Renewal' button on the left hand side. NEW REGISTRATIONS - If you are registering for the first time click this button to start your application to become a member. Proof of age will need to be provided to your club at registration day, so please bring a copy. GROUP REGISTRATIONS - If you are registering a group, whether as a new registration or a re-registration, click on this button. Select your Club, then the applicable family registration type. Once you have completed the declaration for each member and moved to the next page, swimmers who are re-registering must click on the login button to retrieve and update existing details and new members must complete all of the relevant fields. NB. 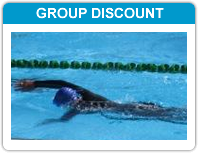 Not all Clubs offer a family membership discount.